For a long time my pens (those I had used when I was a student and during the years after) were hidden in a back corner of a sideboard. By chance, these pens found their way back into my hands and slowly my interest in handwriting and fountain pens was renewed. Even now in the age of computers a lot of people are discovering the fun of handwritten letters or notes. They also are realizing that a fountain pen can be wonderful. I also felt this way and I decided to collect fountain pens from the German manufacturer Guenther Wagner with the brand "Pelikan". As of now, there is not much literature out there concerning these pens. 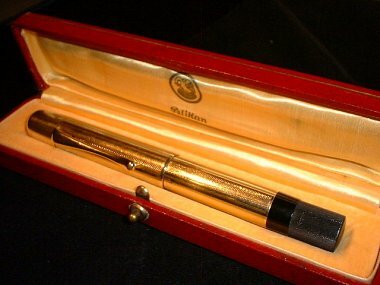 With this homepage I will show the models and colors of Pelikans, in chronological order, that you might find at antique shows or pen shows. With the following links I am trying to help beginners in starting their own fountain pens collections. I will update these pages regulary. Please use the navigation bar on the left side and above you can choose the different sites with the special information you are looking for about pen models, color of barrel, nibs and literature.